Abstract. The digital is now everything and everywhere. While the missing flight MH370 is yet to be found, for the rest of us there is nowhere left to hide. The horror of cybernetic extension into the vicissitudes of daily life is now well and truly a reality. CCTV cameras, motion capture technologies, RFID chips, smart phones and locational media, GPS devices, biometric monitoring of people and ecological systems – these are just some of the more familiar technologies that generate data and modulate movement and consumption within the logistical city. For many, the model has become the world. Our tastes are calibrated and relayed back to us based on the aggregation of personal history coupled with the distribution of desire across sampled populations. Decision is all too frequently an unwitting acceptance of command. The biopolitical production of labor and life has just about reached its zenith in terms of extracting value, efficiency and submission from the economy of algorithmic action. Nowhere is this more clear than in the ‘sentient city’, where the topography of spatial scales and borders gives way to the topology of ubiquitous computing and predictive analytics in which the digital is integrated with the motion of experience. In the sentient city data becomes a living entity, measuring the pulse of urban settings and determining the mobilization of response to an increasingly vast range of urban conditions: traffic movements, air quality, chemical composition of soils, social flash points, etc. The horror of urban life is just beginning. No matter the foibles of human life, predictive analytics and algorithmic modeling deploy the currency of data to measure labor against variables such as productivity, risk, compliance and contingency. What, then, for labor and life outside the extractive machine of algorithmic capitalism? Can sociality reside in the space and time of relative invisibility afforded by the vulnerable status of post-populations? Can living labor assert itself beyond the calculations of enterprise software and the subjugation of life to debt by instruments of finance capital? These are disturbing, complicated questions that require collective analysis if we are to design a life without determination. Bio. Ned Rossiter is Professor of Communication in the Institute for Culture and Society at the University of Western Sydney and teaches into the School of Humanities and Communication Arts. 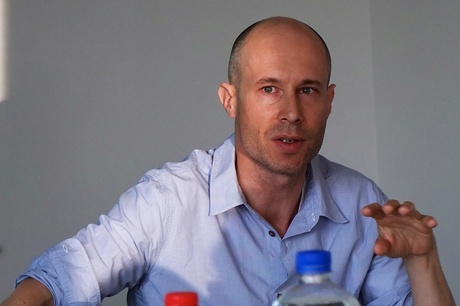 He is currently working on three books, two of which are entitled Software, Infrastructure, Labor: A Media Theory of Logistical Nightmares (New York: Routledge, forthcoming 2015) and (with Geert Lovink) Urgent Aphorisms: The Politics of Network Cultures (London and New York: Minor Compositions, forthcoming 2015). His writings have been translated into Italian, Spanish, German, French, Finnish, Dutch, Chinese, Greek, Latvian, Hungarian and Turkish. Ned is a coordinating researcher with Brett Neilson on an international project examining the imperial force of infrastructure – Logistical Worlds: Infrastructure, Software, Labour, http://logisticalworlds.org. 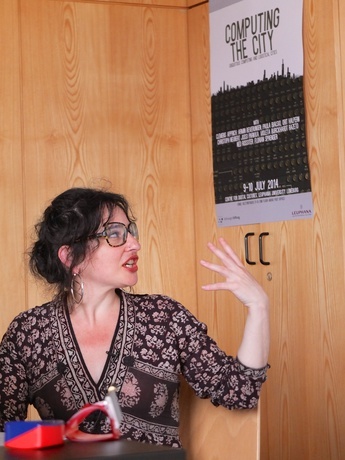 This talk was recorded at the workshop: Computing the City – Ubiquitous Computing and Logistical Cities at the Centre for Digital Cultures, Leuphana University Lüneburg, 9-10 July 2014. Thanks, Ned, for the permission to share. Abstract. This paper traces the cybernetic influence on designers, urban planners, architects, and human scientists, to produce a preliminary speculative genealogy of contemporary “smart” and ubiquitous computing territories and mediums. Taking a series of case studies ranging from neural nets to Nicholas Negroponte’s experiments in Soft Architecture, to contemporary smart city developments such as Songdo in South Korea, the paper will trace the rise of the ideal of an algorithmically produced territory, and the subsequent transformations (real and imagined) in the forms of measurement and calculation administering populations. This emergent "neuro-cognitive" complex, where bandwidth and the modulation of attention is understood as necessary for the sustainability of life is the architecture for contemporary investments in big data, responsive environments, and ubiquitous computing. This talk was recorded at the workshop: Computing the City – Ubiquitous Computing and Logistical Cities at the Centre for Digital Cultures, Leuphana University Lüneburg, 9-10 July 2014. Thanks, Orit, for the permission to share.